2. Qualification: Candiadtes must have Engineering Degree/ Diploma in civil/ electrical/ mechanical from well recognized University/ Institute according to post. 1 .Starting Date of Online Registration of Application Form Is: 27-07-2018. 2. Online Application Will Be Received Till : 10-08-2018. 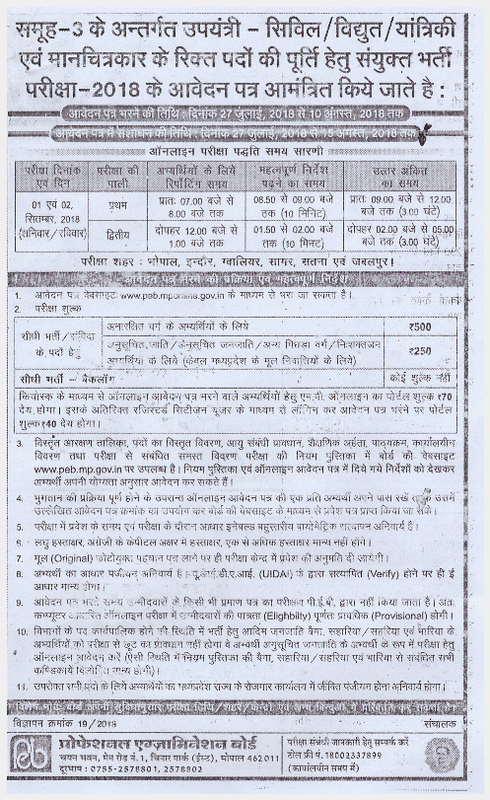 Interested Candidates can apply through the official website http://peb.mp.gov.in. on or before 10-08-2018.